[Update] On Sunday AURA released a statement regarding the reopening of the Sunspot Solar Observatory. 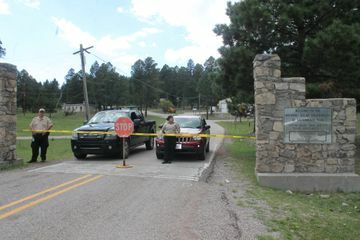 On September 6, 2018 the FBI converged at the Sunspot, New Mexico Solar Observatory and closed the facility down, evacuating personnel and closing the post office as well. According to the local Sheriff, his department was asked to stand by while the evacuation was taking place, but without offering the Sheriff any information about what was occurring other than there was a "security issue." Over a week later and the Observatory is still closed and updated statements from the Sunspot Solar Observatory continue to refer to a "security issue," with no other information available with the FBI refusing to comment to multiple requests from a variety of news outlets, on an "ongoing investigation." The Sunspot Solar Observatory Director, R.T. James McAteer, also claims to have no information as to why the site was evacuated, stating "Last Thursday, we got a phone call in the morning from AURA [Association of Universities for Research in Astronomy] who told us to say that they were temporarily evacuating the site and asked us to evacuate our people. So, I called our people up and asked them to leave in a very sensible and calm manner and locked everything up. We’ve been out of there since Thursday morning." Those are the facts as we know them at this time and needless to stay this mystery has spawned an overwhelming amount of internet speculation as to why the sudden rush to evacuate the site. Everything from massive solar flares to an imminent alien invasion has been discussed and written about, but nothing to explain the evacuation itself. 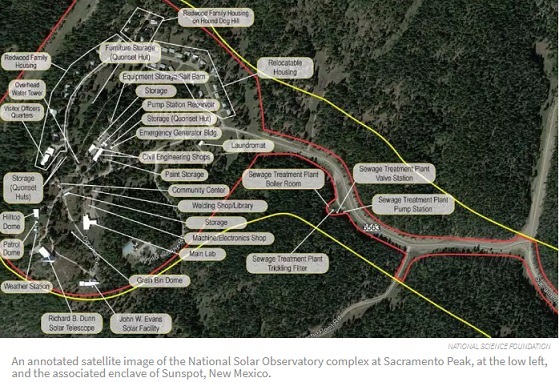 What many do not know about the Sunspot Solar Observatory is how massive a site it is, and that it is a "town," for lack of a better word, with homes, their own gas station, post office, a laundromat and other facilities.... and they were all evacuated. It is now a ghost town as you will see below after a YouTuber decided to cross the yellow tape and stop sign and take a walk through the area, with his camera rolling. The result is no less than extremely creepy. At the laundromat the videographer sees a handwritten note taped to the door, which says "permanently closed." Throughout the town equipment was simply left along with a number government vehicles. In the facilities the lab equipment, and furniture was all left inside. 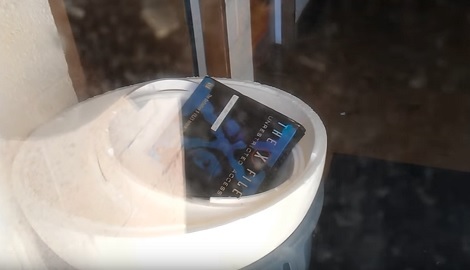 In one strange segment he looks through a window and right on top of a garbage can is a special edition DVD of the "X-Files: Unrestricted Access." By the end of the video when the videographer circled back around towards the entrance a small crowd of other curious onlookers had gathered, to which he spoke to. One woman took a different route, towards the homes and she described how they were left when the residents were forced to abandon them. She says she only made it so far before she too was creeped out and went back to the entrance area. Also note that twice during his tour around the facility, the videogrpaher mentions some strange smell. The day after the video was taken, suddenly guards were posted at the entrance to prevent anyone else from accessing the site. According to Alamogordo Daily News, the guards are there around the clock but they are not allowed into the facility either and are posted just to make sure no one else enters the site. Interestingly, Alamogordo also reports that an employee of the Sunspot observatory is set up in a tent outside of the gate and is allowed inside just to do routine maintenance but is not permitted to enter nor sleep in his own home, which is within the facility. Over at the website The Drive, there are another five, very short videos from someone that sent a drone into the air, at the same time that the videographer above was there because in one of the videos he and his son can be seen walking through. Those videos offer great visual as to how huge this site is. 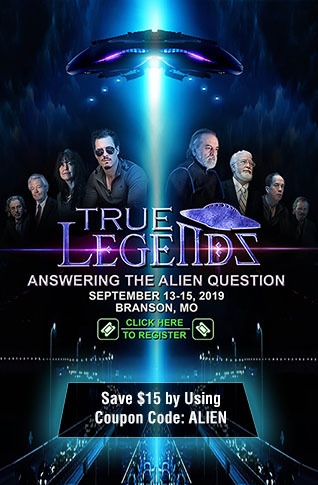 Some are speculating that data gathered included proof of aliens, to which has made the rounds around the internet to the point where a spokeswoman for the Observatory actually issued a denial, stating "I can tell you it definitely wasn’t aliens." Point of Interest: Just as a little bit of trivia here, Sunspot is approximated 120 miles from the site of another famous incident, Roswell. Interesting that the Roswell incident occurred in 1947, the same year, according to the Sunspot Solar Observatory website, that the Observatory was created. Others are speculating there was some type of Mercury leak, because the Observatory does have a liquid-Mercury mirror telescope, but no one witnessed anybody is hazard gear during the evacuation, nor immediately afterwards. Others think it may be an espionage issue since the Observatory overlooks Holloman Air Force Base and the White Sands Missile Range. Over at Reddit there is are entire threads highlighting a number of "issues" with some other solar/space cams, such as Spaceweather.eu being temporarily unavailable, and NASA's latest images page has an announcement stating "We are updating the code infrastructure that provides access to SOHO data, images and movies. We expect the work to take several weeks." One of the most interesting theories is that some type of major solar event was witnessed along the lines of a coronal mass ejection, like the one that caused the Carrington Event in the mid 1800s, which if it occurred today could do some serious damage and knock us back to the dark ages, since our technology is far more advanced than it was in the 1800s. The problems with that theory are numerous. 1) Had the observatory data caught that type of data, it would have already hit earth by now since the place was closed down 10 days ago. 2) That would not have necessitated evacuating the Observatory. With that said, the videographer above did mention he has been to the Sunspot Solar Observatory previously and mentioned they do have their computers predicting future solar activity, but again, the only reason to evacuate the facility and close the U.S. post office down at that location was if someone was trying to send that information out. Another Point of Interest: Just as a side note because of the Carrington Event speculation, three days before the FBI forced the evacuation of Sunspot, on September 3, 2018, Steve Quayle posted an SQ Alert from a deep placed background source, warning of a possible repeat of the "Carrington effect." One Final Point of Interest: According to multiple lists of "Deep Underground Military Bases" (DUMBS), Sunspot, NM is listed, with "function unknown" as #66 On the list. The Event Chronicle also has more listed by state, and claims The White Sands–Alamogordo Area supposedly has three underground bases. 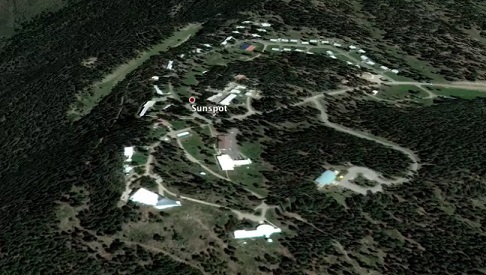 In the absence of transparency, with the FBI being so secretive about the closing and evacuation of the Sunspot Solar Observatory, it stands to reason that people will speculate and while some of the speculation may seem quite "out there," the longer the facility is closed, without any explanation, the more people will speculate. Truly an interesting and creepy mystery. Readers are encouraged to let us know what they think is going on at the Sunspot Solar Observatory, in the comment section below. Very short drone footage video below to give readers an idea of how huge the Sunspot Solar Observatory truly is.